Recently, Tiff and I have been dining with two of our other friends, Deb and Anne. We have been to different ethnic restaurants, including Filipino and of course Dim Sum. 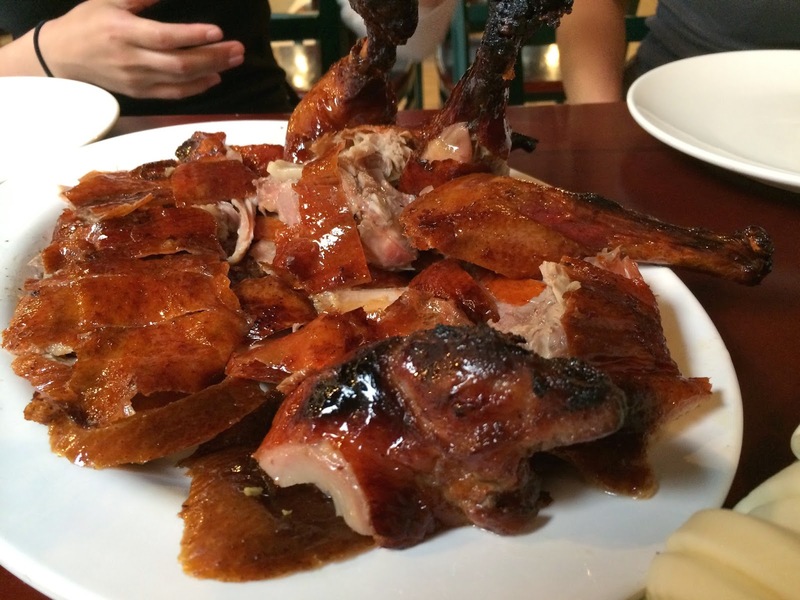 Now, it was time to try Sun Wah BBQ and their infamous Beijing Duck. They do it better than any of the Pecking duck places in Chicago. The food is absolutely delicious... the duck skin is "to-die-for" and I can honestly say I would order just their duck skin if possible. The difference is in the bao offering rather than the pancake. So you make bao sandwiches with the hoisin rather than rolling the meat in the pancake. Where the meal suffers just a little bit is the second soup course. The broth is plain and it lacks any protein or substance. It was just disappointing when compared to other peking duck places. The price, however, is amazing. Four people can split the meal without being overly stuffed, but also being satisfied. Because of the disappointing middle course, I couldn't give them a perfect rating... it was hard, but Sun Wah deserves at least the 4.5-mile rating. There is only one menu item that every table should order at Sun Wah. That item is their Beijing Duck Feast. This is sort of like an Asian prix fixe style meal. Our table of 4 shared one order. First, a Beijing roasted duck is brought to your table whole. It is carved table side into amazing pieces (see above). Most are boneless except for the couple pieces of leg and wing chunks of the duck. 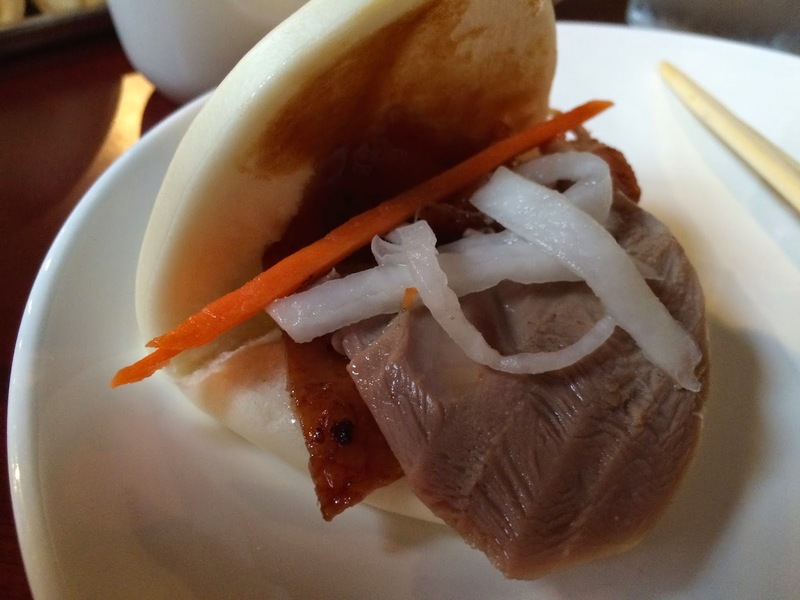 The first part of this feast comes with of course those slices of duck, steamed bao, pickled daikon, and of course the classic hoisin sauce. You put it all together into the bao and enjoy. The skin is very important because it adds the most amazing crispness to the bao sandwich. The second course is seen on above and to the right. After slicing the duck, the carcass is returned to the kitchen to be meticulously picked apart. The scraps of meat are set aside and used later. The carcass is then used to make a hot duck broth soup with winter melon chunks. The soup has a nice floral note to it but lacks much protein. Just keep that in mind. 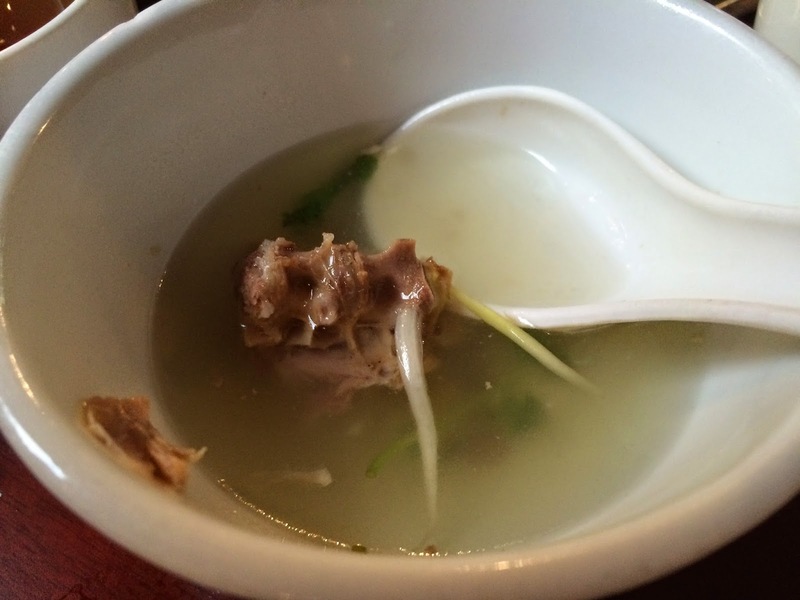 I was expecting a little more duck or substance in the soup, but it is more of a broth than a soup. Finally, remember those duck pieces that were set aside while making the broth? 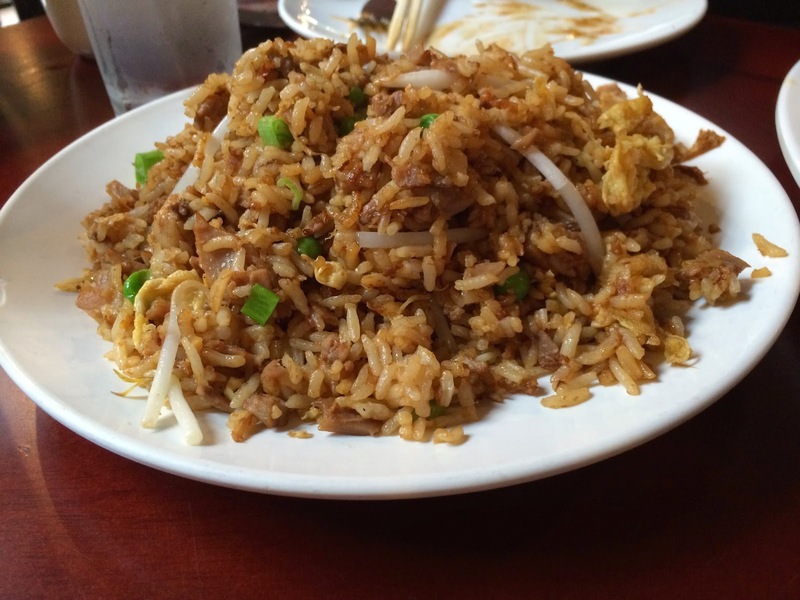 Well, the final course utilizes those scraps of meat in a duck fried rice. The heavy carbohydrate dish is traditionally served last because it allows the guest to fill up on tastier food before filling up on rice or noodles. The fried rice is simple with the duck, bean sprouts, garlic, and a few chopped scallions. It was delicious, but nothing I can't get from another restaurant. - If you don't want to wait, come during a random hour. I think we came around 2 or 3pm and literally, no wait whatsoever. The restaurant is notorious to have an hour wait or longer. So just be aware. - Don't order other menu items... the Beijing Duck is not to be missed.